KOSCIUSKO — A Pierceton woman was recently arrested after she left her purse in an Uber, which police say contained various drugs. 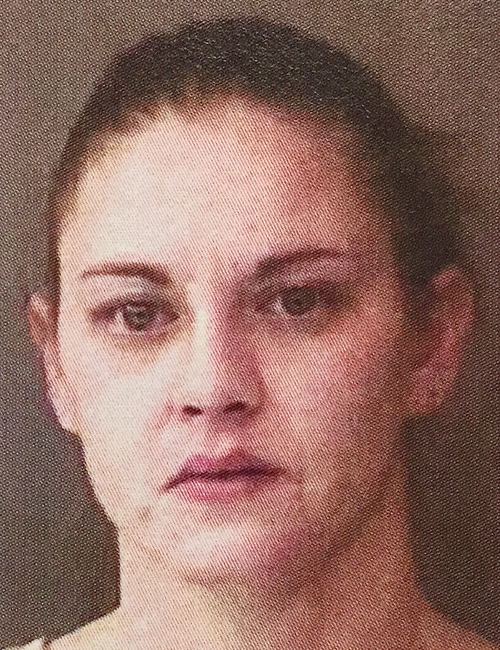 Karra Suzanne Stevens, 28, 721 South CR 450E, Pierceton, is being charged with possession of a narcotic drug, a level 6 felony; possession of marijuana, a class B misdemeanor; and possession of paraphernalia, a class C misdemeanor. On Jan. 19, an officer with the Warsaw Police Department responded to a call regarding a female at a residence. the homeowner advised that an unknown female had knocked on her door, stating that she was cold and wanted to use the bathroom. The officer identified the female as Stevens. Stevens advised that she received a ride from Uber to a local supermarket for coffee and cigarettes. She further advised that she had knocked on the door at the residence because she was cold and wanted to use the bathroom. Stevens also told the officer that she left her purse in the Uber and was concerned about that. The officer was able to contact the driver who stated they would deliver Stevens’ purse to the Warsaw Police Department. The officer then began driving Stevens back to her Pierceton residence. While driving, the officer observed Stevens’ with a crushed powder substance and a dollar bill on her lap. Stevens’ was also holding a straw commonly used for snorting narcotics. The officer stopped the vehicle and spoke with Stevens. Stevens was then handcuffed and the officer took her back to the Warsaw Police Department where her purse had been delivered. According to the affidavit of probable cause, inside the purse officers located a folded dollar bill containing a powder substance, five Alprazolam pills, 11 Oxycodone pills and a plastic bag of marijuana. Stevens admitted to the officer that she did not have a prescription for the Oxycodone or Alprazolam pills.